"I saw a poet chase a butterfly in a meadow. He put his net on a bench where a boy sat reading a book. It's a misfortune that it is usually the other way round." Starting to see several butterfly species passing through the container garden here. Saw several Gulf Fritillaries (many mistaken this species as a Monarch butterfly), with one visiting my Garlic Passion Fruit vine. Haven't noticed any cats on it, so it was either a male or non-fertile female. This particular passion fruit vine will be replaced with a more vigorous grower, Possum Purple. I hope to also get some delicious passion fruits from it! Alas, the Garlic Passion Fruit is not putting out enough leaves to feed a decent amount of GF cats, therefor the switch. I love its flowers, so I'll be putting it in its own pot and relegate it to the front porch where it will be allowed to cascade over the side. 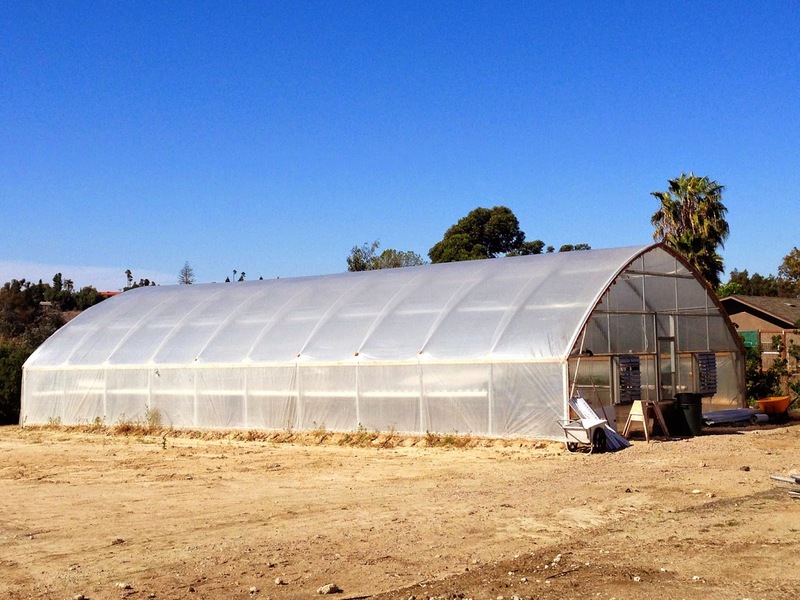 Back in the January 31st blog entry, there was a post written about Butterfly Farms of Vista, California being the new home of The Monarch Program. Well, things have changed a little bit since then. The center is located fifteen minutes away from where I live. The Monarch Program has decided to pull out of Butterfly Farms and relocate somewhere else. There will still be a HUGE vivarium built, school field trips held, butterfly specific plants sold, and tours offered to the general public at Butterfly Farms. I went back there fairly recently to check it out and get an update on their digs and to buy some milkweed for the Butterfly Container Garden. 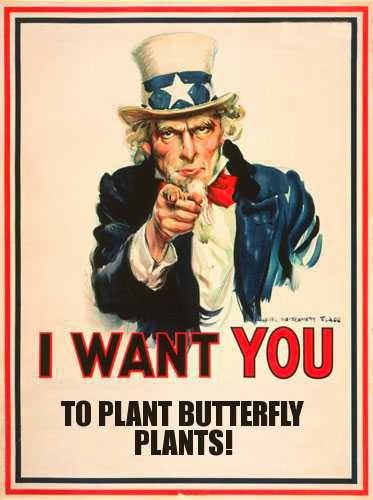 They want $10 for 1 gallon milkweed plants which is waaay too steep a price in my opinion, but it is a nonprofit, so the added cost is going to a good cause and not necessarily lining someone's pocket. They are also offering plants in 4 inch containers, but unfortunately I didn't get a price quote. It's going to be a very vibrant and aggressive center of butterfly related activity. Unfortunately, with The Monarch Program pulling out, the timeline for opening up the vivarium, hosting school field trips, and access to the general public has been set back by several months. This vivarium will be the largest free flight butterfly house in Southern California once completed. If they accomplish all they intend on doing, this endeavor will be a hub of west coast butterfly activity and influence. 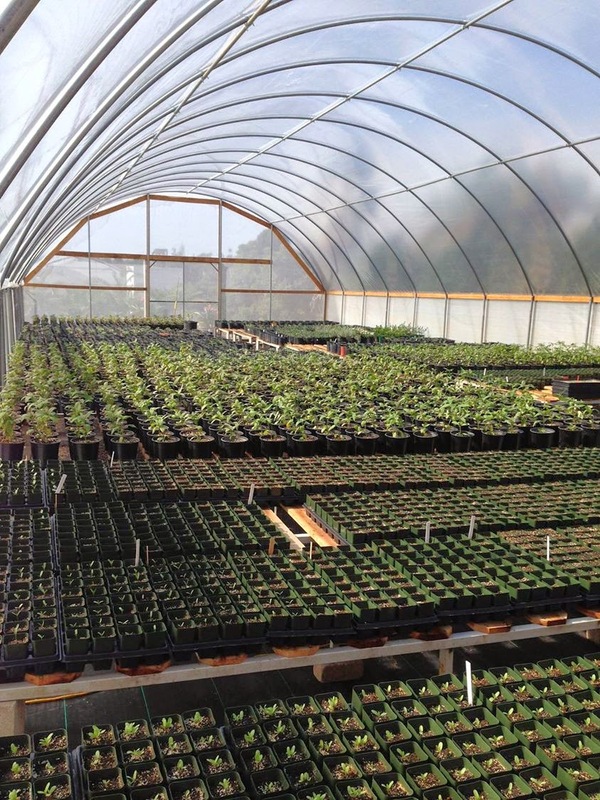 They are selling plants now, but the selection, size, and quantities are still a bit low. That should all change in May when plant stock should be up to snuff. They also have a Butterfly Farms Facebook presence.